Today, the children led the school's Easter Service in St Nicholas Church. 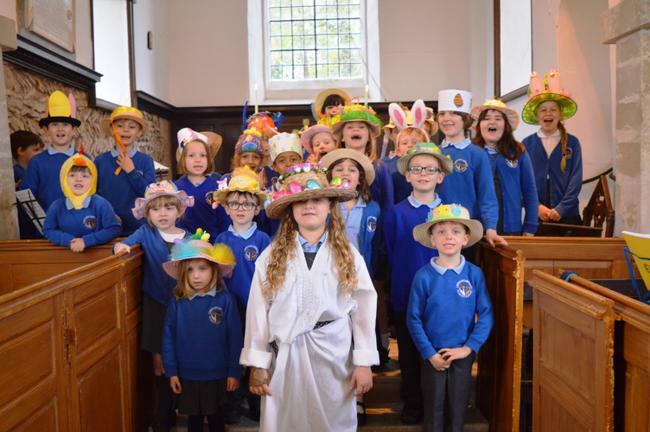 The children's performance was filled with enthusiastic singing and some poignant acting to depict the story of the first Easter. A special well done to those who played musical instruments and a special thank you to Mrs Beacham for arranging such a lovely service. Thank you also to parents and carers for attending the service and for helping the children to make their Easter bonnets for our end of service parade. More pictures can be viewed in our Gallery pages. Happy Easter!